At the turn of the millennium, there seemed to be a collective consciousness among musicians, engendering a radical shift in the perspective of their work. It was a period of cutting-edge production – a pinnacle for IDM, indie rock, emo and RnB. However, while the late sixties saw liberation and enlightenment, the mood of the late nineties was one of unease. A few years prior, Blur were locked in the ‘Battle of Britpop’ with Oasis. As Oasis continued on a linear trajectory, Blur made a left turn. The result was 13 – an eerily beautiful entry into their discography and a record marking a major transition for the band. In recent interviews, Albarn opened up about his use of heroin, which began when Blur were at the height of their powers. There are numerous references to the drug on here, most notably on the introspective ‘Mellow Song’ where he mutters “Shooting stars in my left arm, it’s an alcohol low” over gently plucked guitar strings. Despair characterises the track, driven by a seedy sense of escapism and the need to banish bad memories. While heroin had a detrimental effect on many musicians at the time, including Justine Frischmann, Albarn has been nonchalant in his attitude toward the drug. Even citing it, along with an excursion to Africa, as a significant influence in an interview with the Guardian. In contrast to previous outings, 13 is the most sonically compelling project that Blur has unleashed. While straightforward moments like ‘Tender’ and ‘No Distance Left to Run’ have a direct impact on an emotional basis, it is the nonconformist tracks with trippy instrumentation and experimental codas that are the most engrossing. Chopping radio frequencies, wildly distorted guitars and a jet-stream of maddening chainsaw-like noises enrich the scuzzy ‘Bugman’. It feels like a chaotic drug trip, topped off with a strangely funky section at the end where Albarn repeats ‘space is the place’ in a falsetto. ‘Battle’ contains electronic sounds over a skittering industrial rhythm in a seven-minute epic, rivalling a Nine Inch Nails number. Elsewhere, Albarn seems critical of the lad culture that perpetuated Britpop in the mid-nineties. He sings, “all those losers on the piss again”, on the excellent ‘Trimm Trabb’. A title referencing Adidas trainers which were popular during the nineties. Blur were never going to remain the cheeky chaps of Britpop and 13 represented their moment of maturation. After a troubled period, Graham Coxon left the band while they were recording their 2003 follow-up Think Tank. While his absence left a vacuum, Think Tank was still an achingly gorgeous record. Just as eclectic as 13, with shades of African music and jazz. 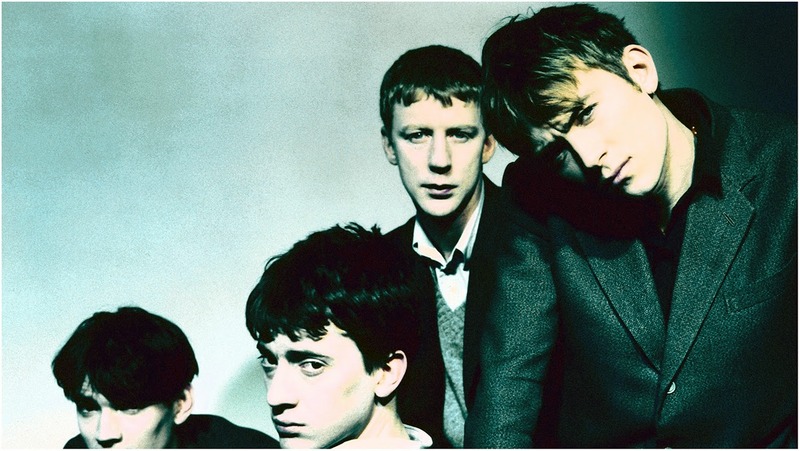 Subsequently, the four members of Blur parted in different directions. Albarn continued making music for Gorillaz alongside multiple other projects. The bassist Alex James would go on to be a cheese cognoscente while drummer Dave Rowntree became a politician. They reassembled in 2015 (including Coxon) to make a welcome, yet ultimately banal, comeback album – The Magic Whip. In the UK indie sphere, a litany of trends flourished during Blur’s hiatus – from Coldplay to the Arctic Monkeys. Yet none of the bands from this era had the audacity to make an album as daring as 13. Adam is a music writer at Headstuff. He is also the music editor for the College Tribune and has worked for Craic Magazine. He has a BA degree in politics and history from UCD. In his spare time, he listens to copious amounts of music and does photography.